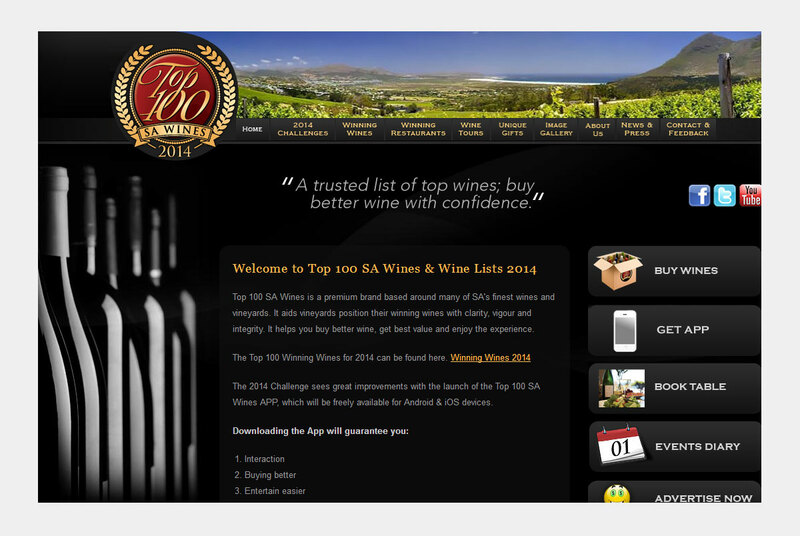 South Africa's newest (and rather controversial) wine competition which is the brainchild of Robin von Holdt. The site has strong branding and is content-rich. Winning wines can be sorted and filtered by various criteria. We used PHP and MySQL to implement this. A Wordpress blog enables Top 100 staff to update news on a regular basis.